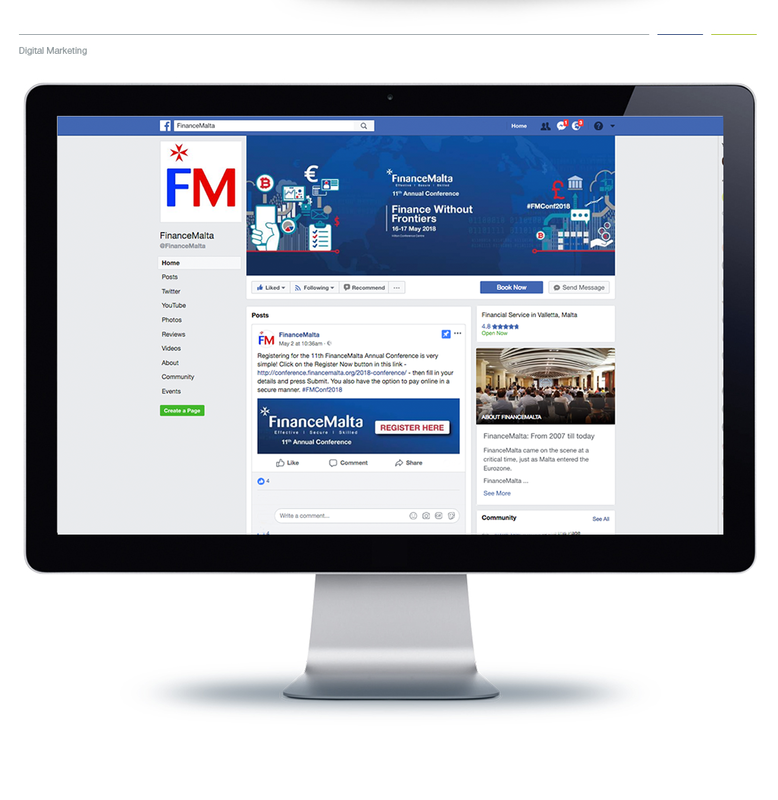 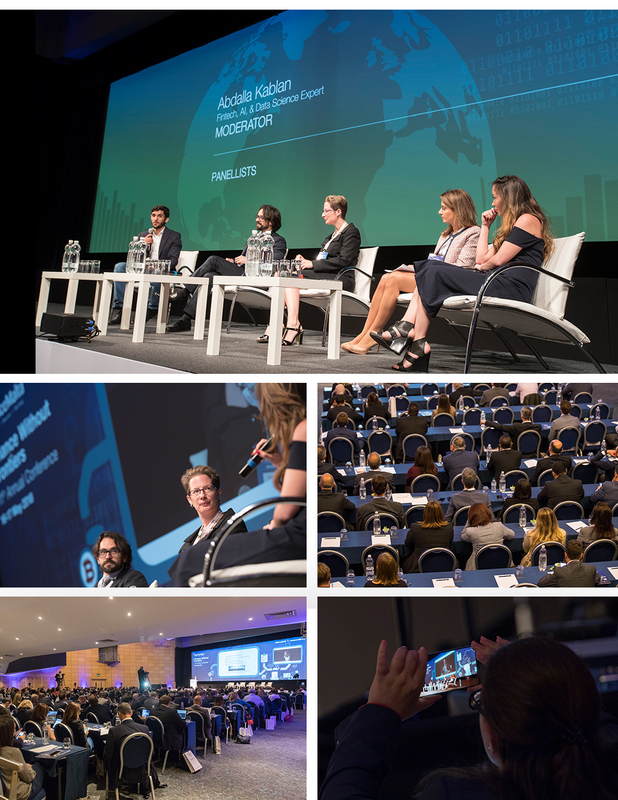 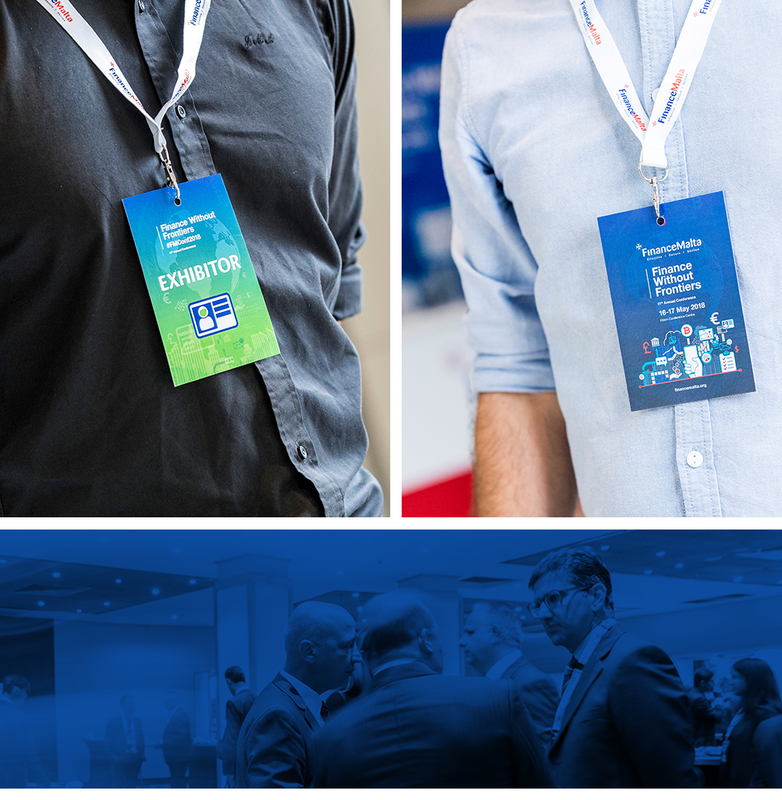 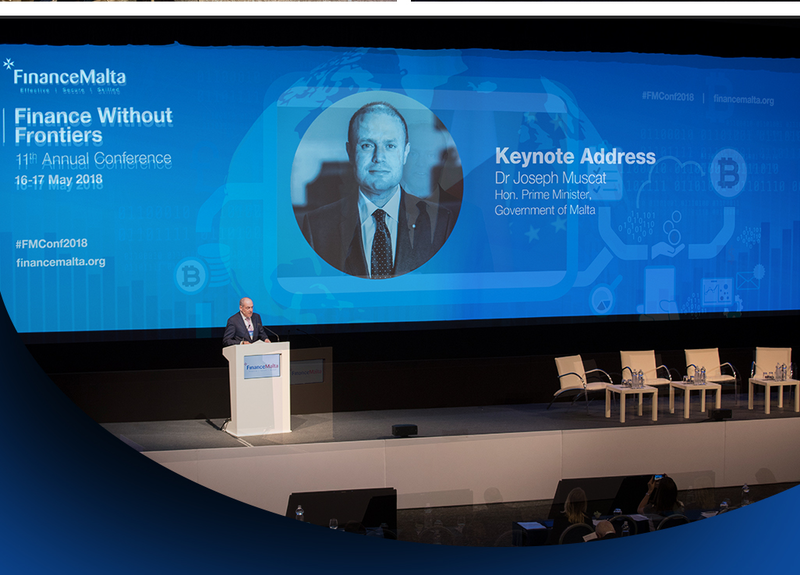 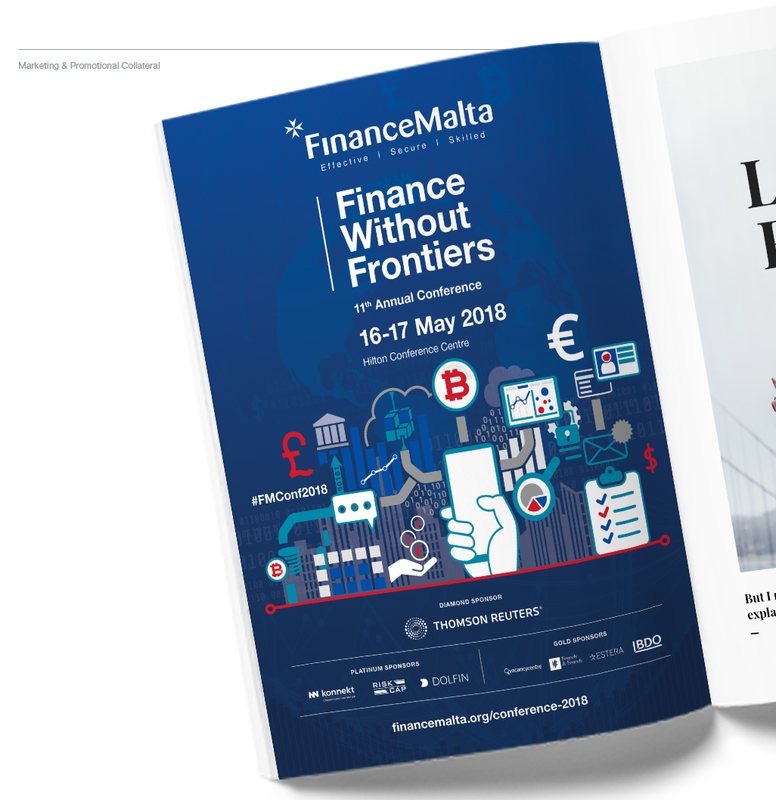 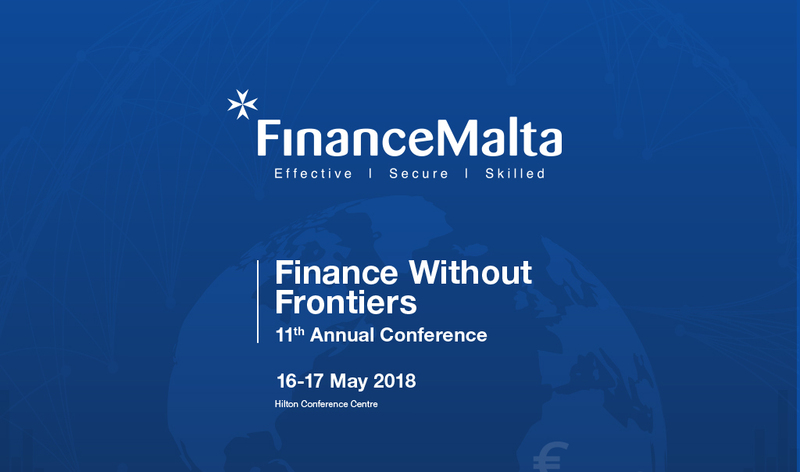 The annual FinanceMalta conference providing financial services practitioners the opportunity to network amongst peers whilst keeping themselves up-to-date with the regulatory, compliance and technology advancements in the local and international financial services industry. 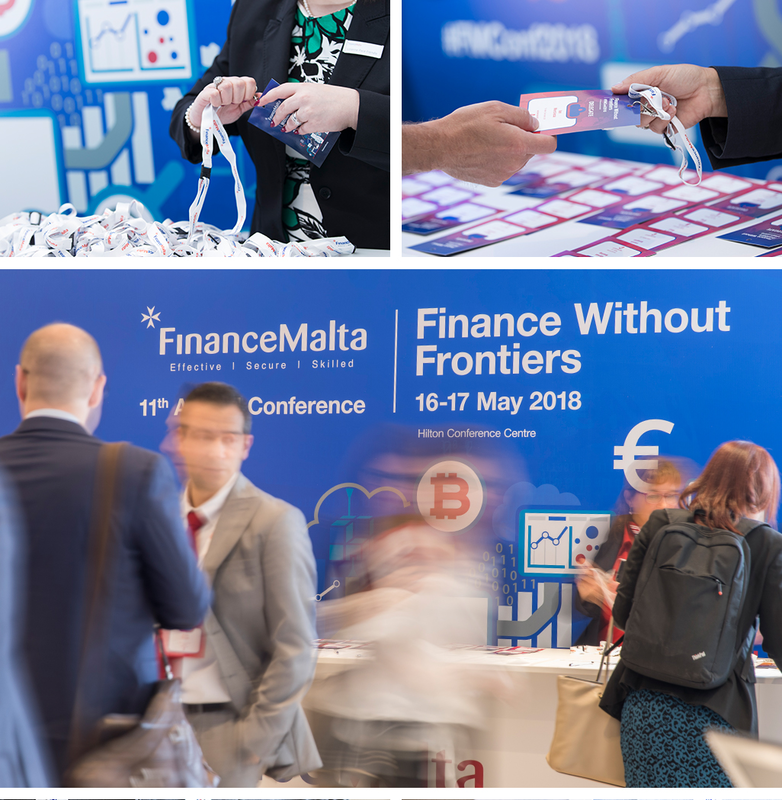 The Concept Stadium was proudly entrusted to develop the brand identity of the 11th annual conference, ‘Finance Without Frontiers’. 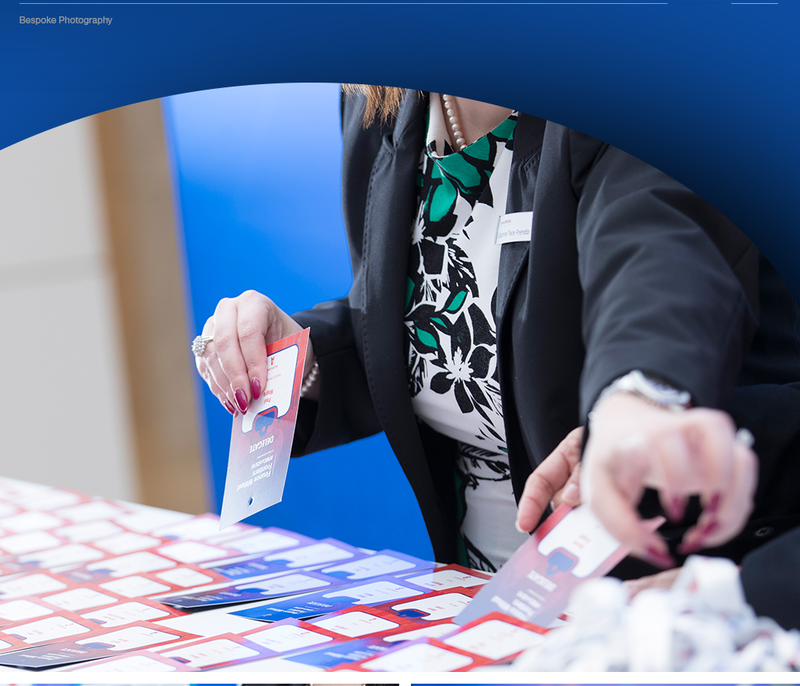 In addition to conference branding, the team creatively designed the conference programme, tags and screen graphics & animations enhancing conference engagement during workshops and breaks, whilst coordinating on-site event photography. 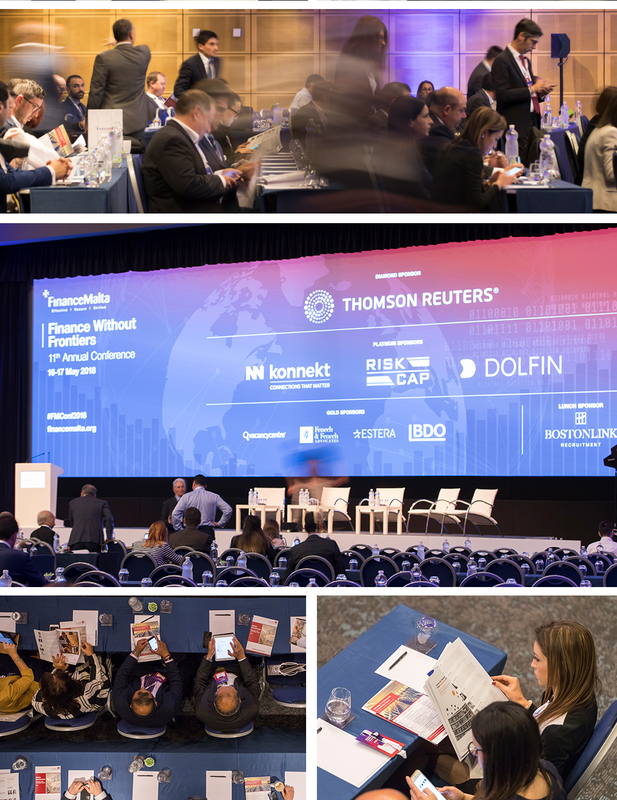 Alongside the marketing & promotional collateral, the conference was being promoted digitally via Google Adwords with custom Calls-to-Action, website banners and social media visuals, as well as print media advertising on local newspapers and industry-focused magazines.